Weight Gain: I knew this baby boy had grown! At the doctor on Monday we figured up that I have gained a total of 10 lbs so far! 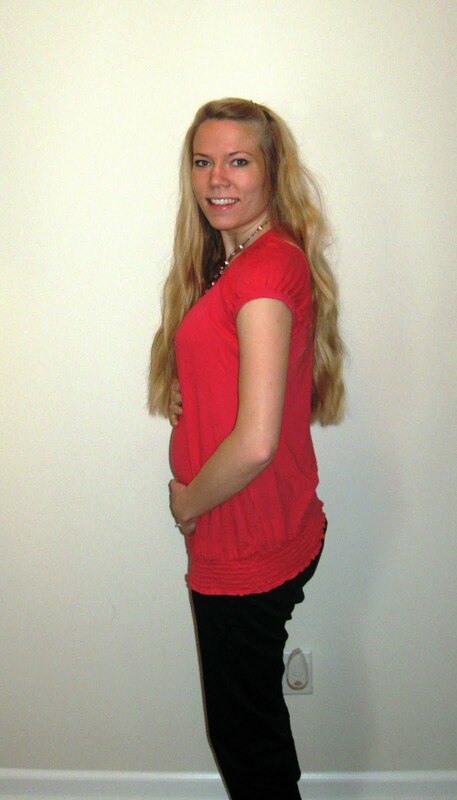 Maternity Clothes: I'd say we are a pretty solid 50/50 between maternity and regular. I can see those odds shifting in maternity clothes favor over the next few weeks with the way this boy is growing! Movement: This kid knows how to party late-around ten or eleven every night! He is getting more responsive to our voices and that is a lot of fun. Sleep: Typically ok, still have midnight cravings so it's not rare to find me raiding the fridge when everyone else is soundly sleeping. What I Miss: Nothing really-this has been a great trimester so far! Cravings: Still wanting to raid Taco Bell and drown my order in Taco sauce. Best Moment of The Week: Being able to start calling this little man by name! I love saying and hearing others talk about my boys, Harrison and Jefferson. 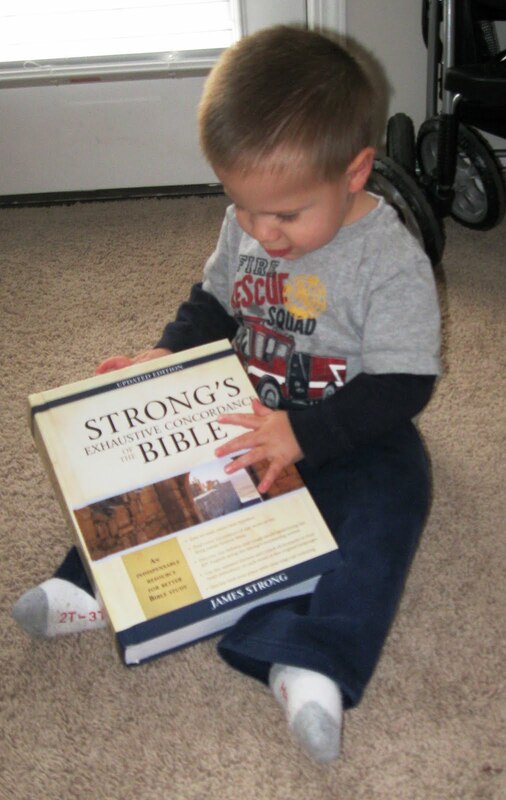 Big brother holding Strong's Concordance which is about the length of Jefferson this week!